As I teased in Using vCenter tags with PowerCLI, I want to explore how to use tags in a practical application. To refresh our memory, we looked at creating an Ownership category with individual tags in it, and limited VMs to having just one of the tags. We created a little script that defines our schema, in case we need to re-create it. We are going to work on a new category today for our backups. 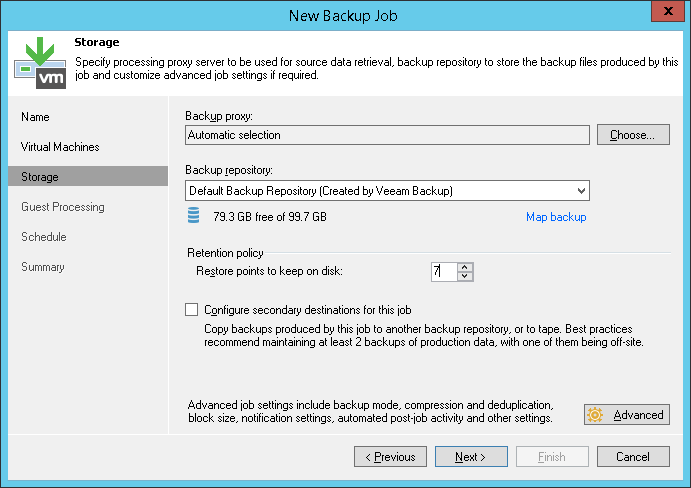 Specifically, Veeam backups, based on SDDC6282-SPO, Using vSphere tags for advanced policy-driven data protection as presented at VMworld 2015. New-Tag -Name "NoRPO" -Category VeeamPolicy -Description "This VM has no backups"
New-Tag -Name "Development24h7d" -Category VeeamPolicy -Description "Development VMs with 24 hour RPO, 7 days retention"
New-Tag -Name "Operations8h30d" -Category VeeamPolicy -Description "Operations VM with 8 hour RPO, 30 day retention"
New-Tag -Name "Sales48h30d" -Category VeeamPolicy -Description "Sales VM with 48 hour RPO, 30 day retention"
This creates the category for the VeeamPolicy tags, a single tag for VMs that explicitly do NOT require backups, and three group/RPO/retention tuples. Go ahead and place this in revision control, so that over time, you can track the tags you are using. Tags are part of vCenter, so if you migrate to another or recreate your vCenter, you’ll need this! It also makes it easy to see what you’ve defined vs what’s actually in vCenter. New-TagAssignment -Entity $_ -Tag "NoRPO"
It’s important to look for VMs and templates. The @() structure creates arrays, which can be added together. We then have to remove the previous assignment before placing the new one, since our category is Single cardinality (Unfortunately you cannot overwrite the current tag assignment, boo!). Note: The Location parameter takes a string, and it finds ALL folders that match the string. If you have a VM and Templates folder named Operations and a Datastore folder called Operations, All the VMs in BOTH will be discovered. I recommend adding ” DS” to the end of datastore folders, ” VDS” or ” VSS” to the end of Network folders, etc., to ensure there’s no conflict here. $DevelopmentDatastores = Get-Datastore -Location "Development Datastores"
There’s a ton of other ways to select your VMs, this is just a sampling. If your organization could best be described as “Chaotic”, then you might have to assign Tags individually. However your tagging happens, when you’re done, you probably want a report so you can ensure everything was tagged properly. We can do that, too! Now that we have our policy defined and tags applied, let’s create some jobs. We will be creating three jobs, one each for Development, Operations, and Sales. We will assume that automatic proxy selection will work and that there is only one repository, as those details aren’t important to the use of tags. This article was written using Veeam Backup & Replication v9, so if you’re reading this in the future, things may look different! One last thing to note, and you may have figured this out already, is that when using Tags for our selection process, it’s an OR operation, not an AND operation. This means that if you select two tags, Veeam will find all VMs that match either tag, rather than VMs that much all the tags. That’s why we have three pieces of information in our tag! There’s a request to support logical AND – please comment in that thread if you think you’d find this interesting as well! If this is delivered in the future, it could really change how this is done! On the next page, click Add, then click on the right-most icon (Tags) and expand and select the Development24h7d tag and hit Add then Next. On the storage page, change the Retention Policy 7 days. This is also where we can hit Advanced and modify Quiesce settings, Notifications, and most other backup settings. Click Next when done. Now, every day at 10:00:00PM, the Development job runs. Veeam will contact the vCenter server and enumerate every VM with the Development24h7d tag, add them to the job, and then start backing them up. If the Development team deletes a VM, it’s automatically no longer part of the job. If they add a VM, and they tag it properly, it’s automatically part of the job. All we need to do is teach or coworkers how to tag their new VMs, hopefully with the assistance of automation, and use our PowerShell command from above to run a report every days to find any untagged VMs. It’s okay to tag a VM with NoRPO, because it’s explicit acknowledgement that a VM does not require backups, but the lack of a tag does not mean that backups are not needed. We can also use combine the use of tags with exclusions. For example, if we have some “close” VMs and some “remote” VMs on a slower link, they probably do not use the same repository at HQ. In the “close” job, we exclude the remote site’s clusters or datastores, and on the “remote” job, we exclude HQ’s clusters or datastores. If we have two or three sites, this is probably pretty easy. If we have multiple sites, we may want to revisit our tag scheme and add a fourth item to the tags – Location – and re-align our jobs. Of course, if the “AND” selection criteria is added in the future, this will change, as individual tags won’t need to carry EVERY piece of information. Today, we created a tag schema oriented around our backup policies. We also built some reports showing how VMs are tagged and which VMs are not tagged. This script was commited to version control for accurate tracking over time and re-creation of the schema if needed. We then created some simple but dynamic Veeam backup jobs based on the tags, and showed our coworkers how to leverage the tags. 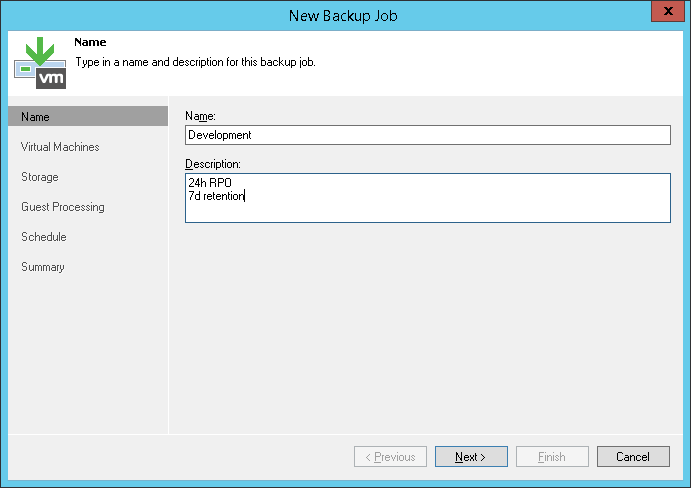 This is a great start for simplifying your Veeam backup jobs and to see the practical power of vCenter Tags. 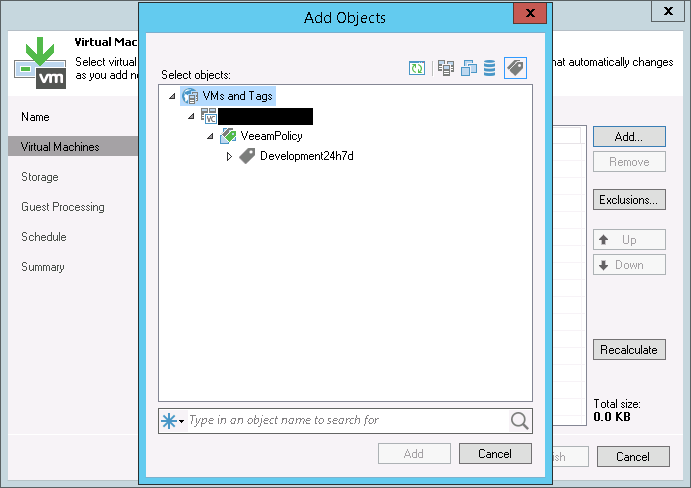 There’s a lot more you can do with Tags, and with your Veeam jobs. I’d love to hear how you’re using Tags in the real world in the comments or on twitter. Thanks!